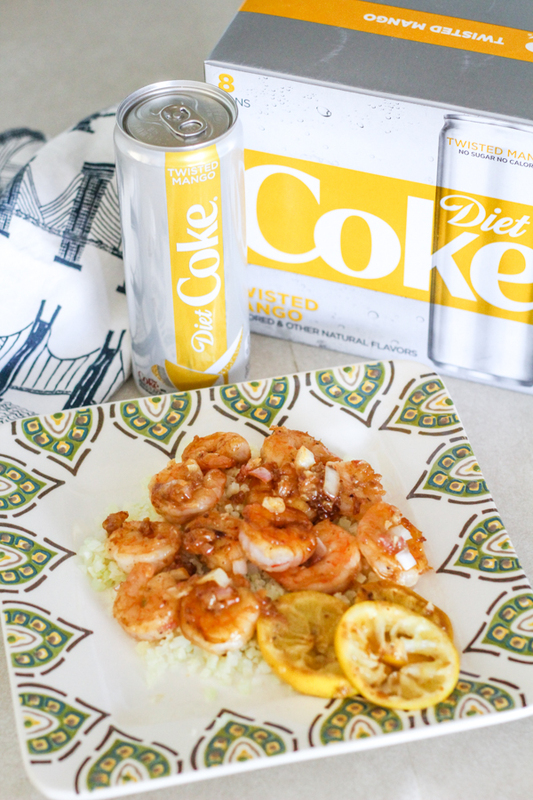 When the new flavors for Diet Coke® were released, I was inspired by the Diet Coke® Twisted Mango to make this shrimp recipe! It reminds me of Hawaii because I ate tons of fresh mango and shrimp last time I was there, what a perfect pairing. 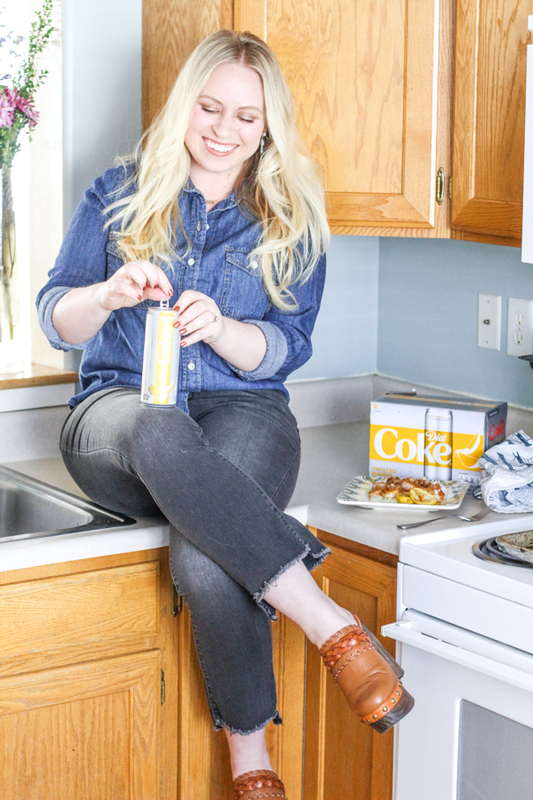 Find your perfect Diet Coke pairing here! 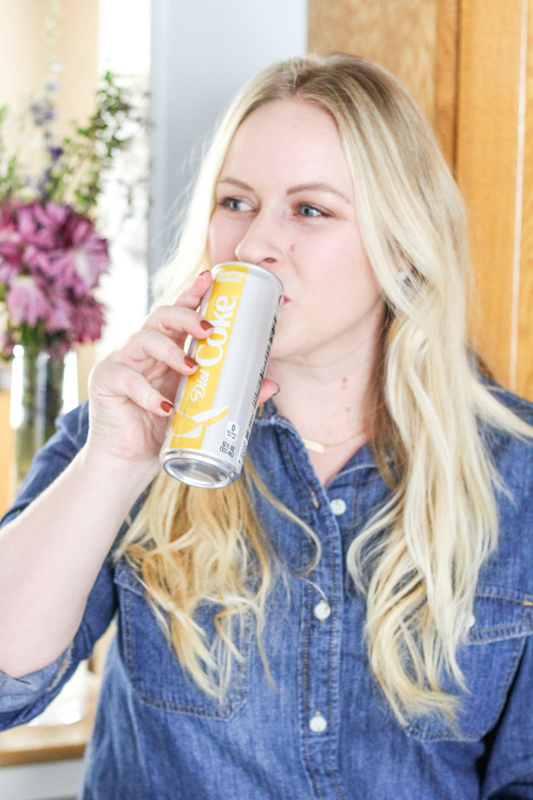 Diet Coke® is a staple in my household, these sleek new cans and flavors are so exciting! 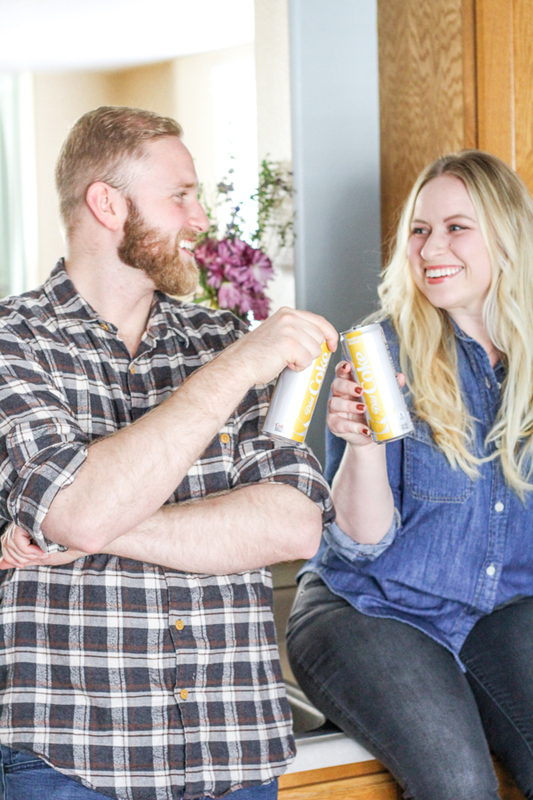 Diet Coke is getting a fun new facelift, while still keeping the same flavor we all love. I purchased the 8-pack at my local Smith's, but you can also snag on-the-go single cans so you can try each flavor (listed below). 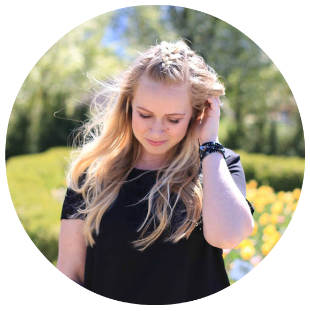 Take this quiz to find out which flavor is matched to your personality! 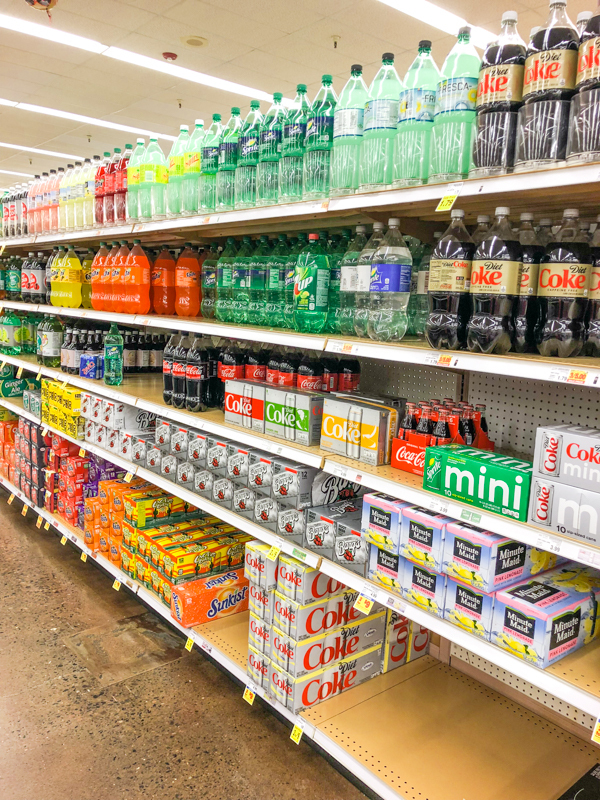 I just picked up the Diet Coke® Feisty Cherry and Diet Coke® Ginger Lime, and can't wait to start breaking into those. 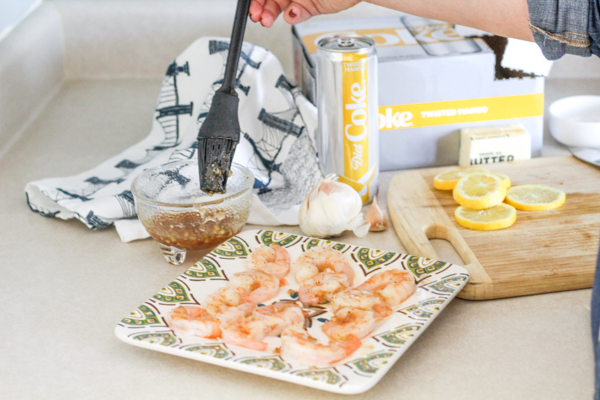 While I cooked up this recipe to pair with my Diet Coke® Twisted Mango, I ended up sipping it the entire time I was cooking...oops ;) It was too tasty to wait! 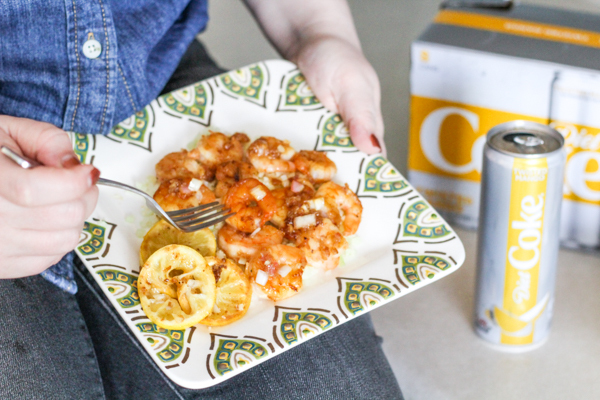 Below is a tutorial on how to make this delish shrimp recipe to pair with your Diet Coke® Twisted Mango beverage. Put clean salt block on cold charcoal grill or in cold oven on a cookie sheet. Then light fire/turn on over and let it heat up to 400 degrees. 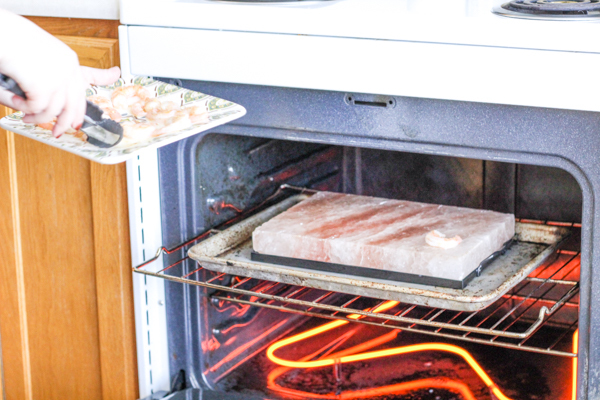 Once it reaches temperature, let the salt block stay heating for another 20-30 minutes. Peel and finely mince shallot. 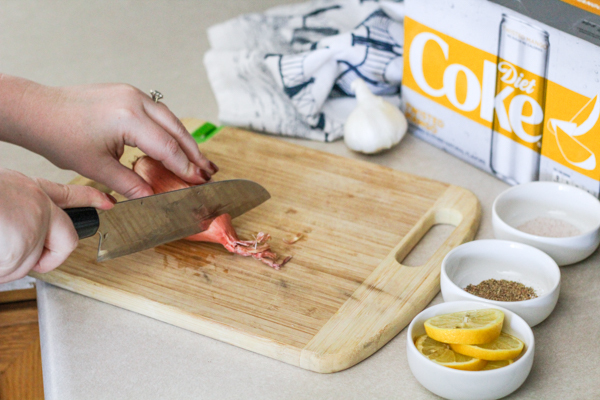 We found out through some cooking shows that if you avoid cutting the root or bottom of the onion, your eyes won't start tearing up! 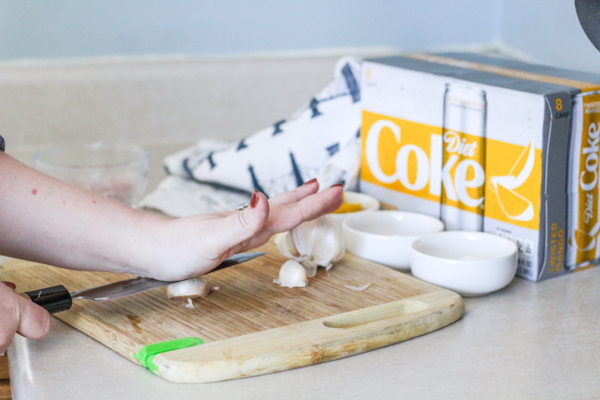 Crack one garlic clove. Peel and finely mince garlic. 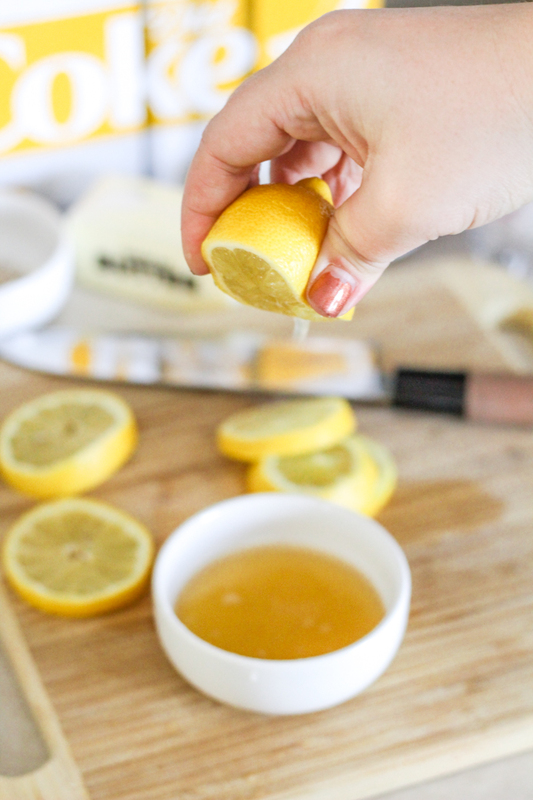 Combine honey, lemon juice, and cracked pepper. Stir until combined. Toss butter in saucepan over medium heat. Add shallots and garlic until shallots have softened, 3-4 minutes. Add the honey, lemon juice, and pepper mixture; pull off heat then stir. Using silicone brush, brush glaze onto the shrimp. 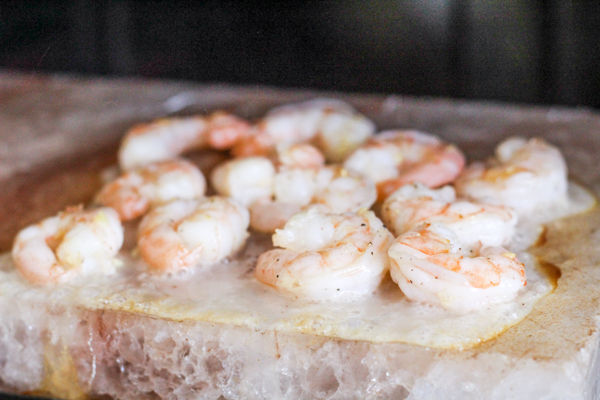 Place glazed shrimp directly onto a clean portion of the salt block. Cook until lightly browned, 2-3 minutes. 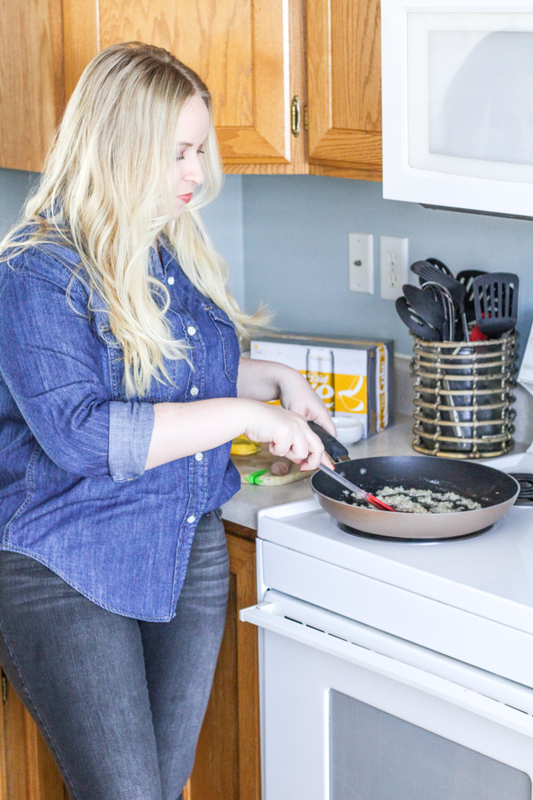 Using tongs, flip over shrimp and place onto a clean spot on the block. Brush more glaze on. Continue cooking until the center is slightly opaque, about 2-3 minutes more. Add lemon slices and shallots if desired. Serve on top of a bed of rice, or put on toothpicks to serve as appetizers. 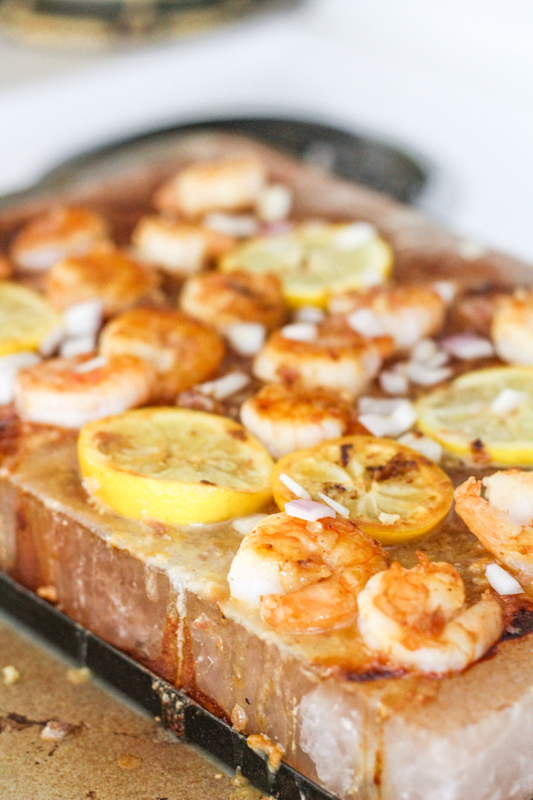 Use the rest of the glaze and drizzle over the top! Cracking open a fresh Diet Coke® Twisted Mango from the fridge, and ready to dive into my tropical vacation inspired lunch. I placed my shrimp on a bed of cauliflower rice, which hit the spot! 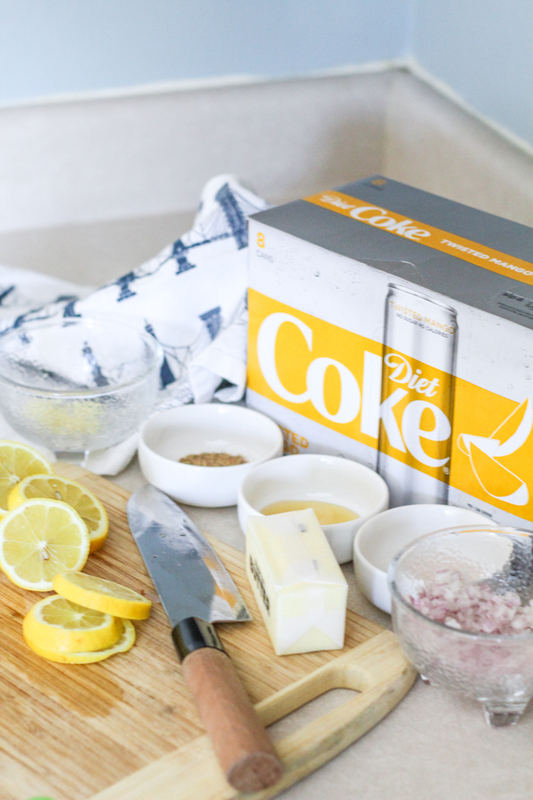 What Diet Coke® flavor are you excited to try? Which flavor did you get matched with?